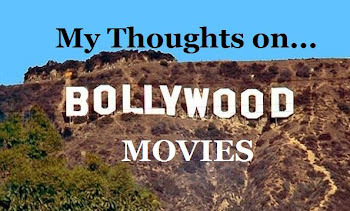 "The people who are making films listen to English songs, their interest in food, clothes and films are non-Indian...songs are being played in the background and not included in the films at all. [Hindi] movies are shorter. Indian films are losing their identity. Songs are integral to Indian films. Removing them from our films is like omitting songs from an opera performance... removing what is the USP of Indian films,"
Finally someone has the balls to admit that Indian directors and producers have less to do with Hindi cinema than anyone else. How many times do we see them tweeting about HINDI movies...not very often. More than not, they are tweeting random lyrics from random Madonna songs and discussing American politics (According to Kunal Kohli, Obama is hope for the economy...the AMERICAN economy, dipshit). For crying out loud, they need to just STOP and focus on themselves. If I start on that topic, I may go on for pages and pages so I'll stop and go on to Akhtar's second query: MUSIC! Though I will disagree that songs are a dying breed in a Hindi films (come on...Son of Sardar, Rowdy Rathore, Student of the Year! ), I do agree that songs are "integral to Indian films" and through time have been reduced to necessary accessories for selling a film. Where have the days gone when a song's picturization actually mattered? Where have the days gone when songs actually looked different from one another...? Now, let's take a look at the item numbers from the "golden era" (Okay, maybe not that long ago. I meant the 70s). It only takes one, that's right, ONE woman to achieve sensuality in an item number. That's it! Helen was able to take sensuality to new heights without ever having to rip her cleavage out of her shirt and carry 200 background dancers! In all honesty, the small nuances is what make a picturization stand out. Don't get me wrong! I love a song with hundreds of dancers and beautiful clothes, but shouldn't a song have more than that...an actress, even while dancing, should be able to prove something about her abilities and be able to reinvent herself and the song! Even if a song is put into a movie for the hell of it, shouldn't it have some standing on it's own. Do you think "Halkat Jawani" will be remembered like "Piya Tu" in the next 30 years? Lastly, I just have to post this song because it is, in my honest opinion, one of THE greatest song picturizations ever to grace Hindi cinema. And can I say: Sanjay Leela Bhansali, I miss you! No one, I repeat, no one directs songs like you do!